The Smashing Walnuts Foundation is proud to lead a diverse group of advocates working to secure funding for the Kids First Research Fund and other critical programs aimed at eradicating devastating childhood diseases. This year’s spending measure represents an important step forward in our endeavor, but we have quite a long way to go. Only 4 percent of federal spending on cancer research is directed to childhood cancer. In the case of many childhood cancers, such as diffuse intrinsic pontine glioma (DIPG), little progress and no new treatments have come in more than a generation. However, we remain hopeful. 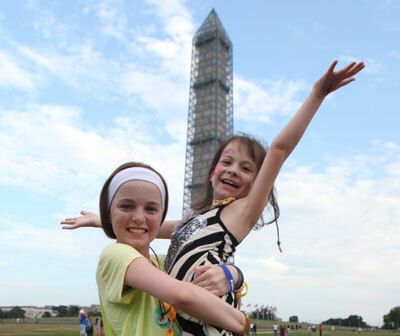 “We are extraordinarily grateful to Congress for continuing to fund research on childhood diseases as part of the NIH’s FY 2016 budget, and for recognizing the importance of focusing on cancer,” stated Ellyn Miller, Gabriella’s mother and executive director of the Smashing Walnuts Foundation. There are eight more years of funding under the Gabriella Miller Kids First Research Act, which have the potential to make a meaningful difference in the lives of many children. Under the Act, NIH is empowered to devote more than $125 million in grants over a decade to researchers studying critical diseases that threaten and claim the lives of so many American children.